This site is all about the message! The message of educating and protecting the trust and innocence of children. I hope you will join me in spreading the message. Help us illuminate the darkness; shine the light, read the book and share it with others. 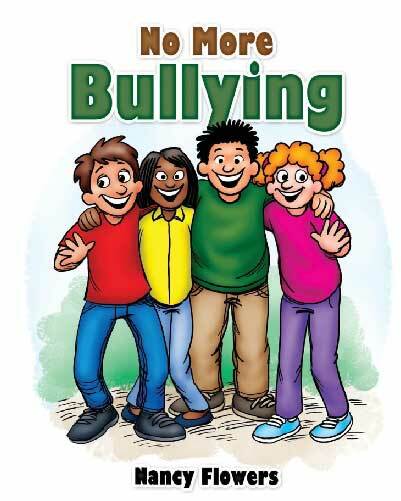 Start this Spring by reading both of the Tell Somebody Books to educate kids how to handle bullying and abuse. These books are simple tools to open up conversation with kids to keep them safe. Please contact me if you would like me to come and speak about prevention and education opportunities. Let's work together to protect all kids. Sadly, child sexual abuse is a very real and widespread problem that leaves lasting emotional scars. Author Nancy Flowers uses her personal experience with abuse as a platform for offering hope and encouragement to those who are still finding their way out of the shame. In her eyes, prevention is the key to keeping our children safe and protecting their innocence. Programs like Stranger Danger teach children how to protect themselves against perpetrators that they don't know. But what if the abuser is not a stranger? 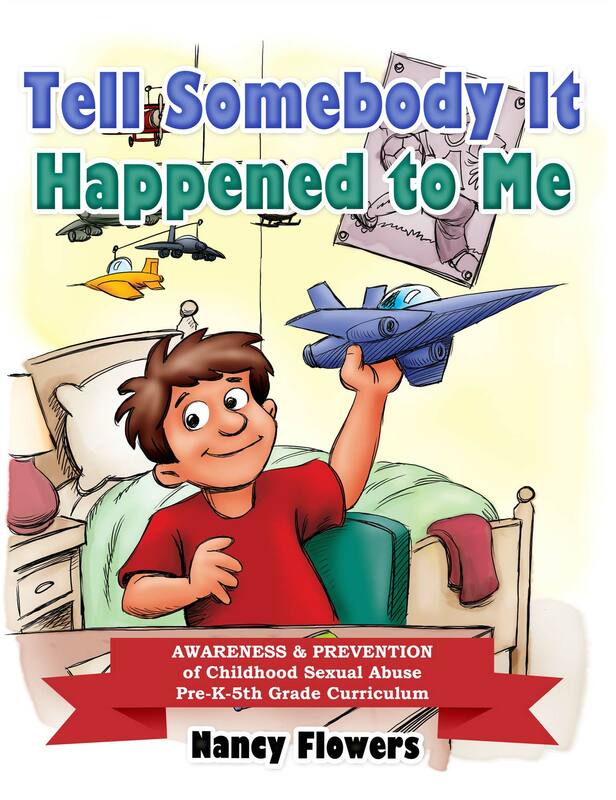 Her first book, Tell Somebody It Happened to Me teaches kids how to respond to inappropriate touching and protect themselves against sexual abuse. She accomplishes this by incorporating two fictional child characters, Jacob and Josie, who share their stories and teach kids how to say no. "Some people may think the message is a little strong," Flowers admits. "However, it is worth the risk of possibly offending some for the protection of many." Her desire is to spare as many children as possible from becoming adults who struggle with issues that could have been prevented. She believes that the book has the power to reach both children and the parents or teachers who will read it to them. "I wouldn't have written this book for any other reason." The most effective prevention happens before a child is harmed. Bad things can happen that are not right. We’re afraid to tell so we cry at night. People can be mean in what they say and do. We don’t like when it happens to us—what about you? The second book in the “Tell Somebody” series, No More Bullying is designed to get children talking. When they find a safe place to share their fears, kids learn how to handle life’s difficulties, allowing them to create healthy relationships. With No More Bullying, your kids will not only avoid bullying, they will embrace new friends too. Do you want to protect the innocence of children? Tell Somebody It Happened to Me is like a flashlight to illuminate the darkness of abuse. Author Nancy Flowers believes that it's time to go beyond Stranger Danger and teach children how to protect themselves against inappropriate behavior. Her main characters, Jacob and Josie, will teach kids four to ten how to respond to abusive touching and improper advances. They are lovable characters that kids will trust and relate to, making it more likely that they'll follow their example if they find themselves in a similar situation. The book has a simple message intended to prevent danger and break down secretive barriers. 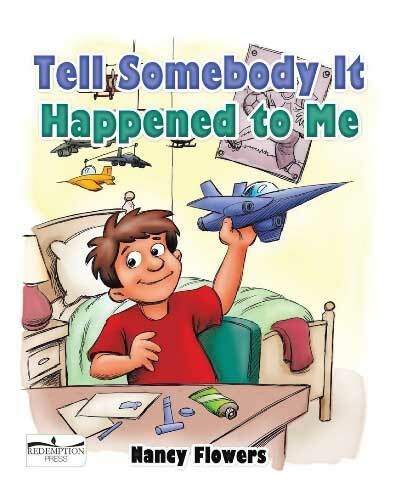 This book opens an opportunity for children and parents to share the importance of telling when something bad happens. Many parents want to talk to their little ones about inappropriate behavior but do not know how to do it. Tell Somebody It Happened to Me is an answer to their heart's cry. Kids love books and this book could spare your children hardship in the future. Don't get caught in the dark; shine the light, read the book and share it with others. These simple ABC's of abuse were originally written for the books, but it's important to remember if ever encountering a situation with abuse. Accept that it is possible that your child has experienced abuse. Allow time to ask questions and don't pressure them for information. Always show love and acceptance so the child doesn't feel ashamed. Believe the child. Young children are innocent. Be ready for a flood of emotions. Stay calm and handle yourself responsibly. Better to know the truth--truth will set your child free. Contact proper authorities. Abuse must be exposed and confronted. Consider the consequences of not reporting the incident. Challenge yourself it takes courage to stand against corruption. 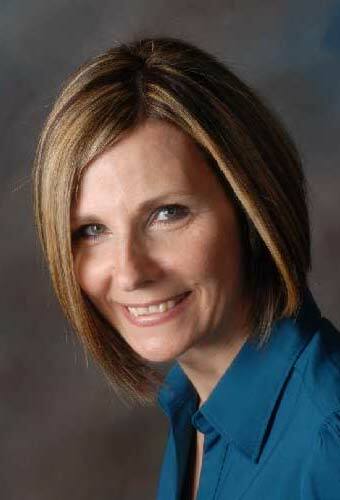 Nancy Flowers has been involved in full-time ministry for over twenty years, after leaving a successful career at WMAQ-TV to pursue this calling. Her personal and ministerial experience has provided her with valuable insight into tough topics. Nancy has personally experienced abuse and uses her past as a platform to offer hope and encouragement to those who have experienced the pain and damaging effects of abuse. This new venture as an author comes from a passion for educating kids. Nancy is dedicated to protecting the innocence of children. She created the characters of Jacob and Josie to educate children to tell someone. Nancy and her husband Victor, have been married over forty years and live in Illinois. They are the parents of four children and currently have eleven grandchildren. "'No More Bullying' not only helps children who are being bullied to know what to do, but also provides crucial messages to those children who act out against their peers. This book is another amazing resource by a talented writer." "We absolutely loved it. Everything from the language to the illustrations and text used was really fabulous and the counsellors said they had no doubt that children would be able to easily engage with the book." "Many children are molested and keep quiet out of fear and shame. This book is written so that we as parents can explain to our children the reality of sexual molestation and give them the guidance that they need to deal with it. It is a good preventive as well as an encouragement for children to be unafraid to tell if it does happen to them."